U.S.Art has handled installation and rigging for both temporary and permanent collections of the world’s most prominent museums for over 60 years. Services range from the installation and rigging of large specialized museum collections to the installation of a large single object. 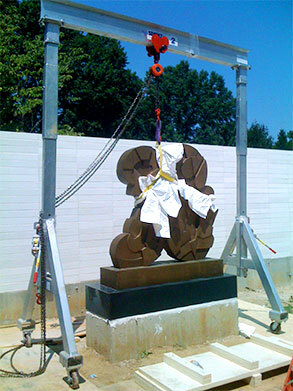 Our expertise and experience provides a customized state-of-the-art solution including fine art rigging, assembly, installation and extraction of large-scale objects. We use our own rigging and installation crews to expertly rig a project, while working directly with your staff or on-site venue personnel to ensure a smooth installation.